This book is so interesting! Its funny, but dramatic and serious. I would love to read books like this. 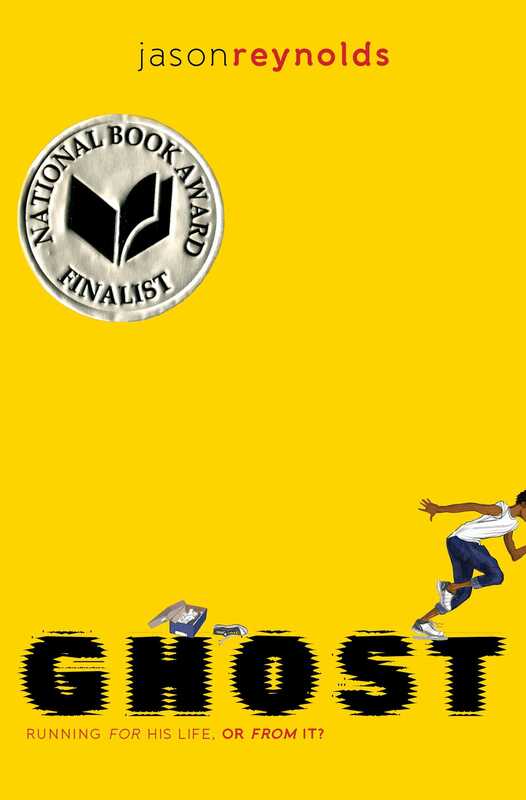 Despite its title, Ghost by Jason Reynolds is not a horror story. Ghost is actually the nickname for the main character (whose real name is Castle). There’s nothing supernatural or paranormal going on here. But Ghost has known terror in his life — specifically, the moment when his father grabbed a gun and chased Ghost and his mother through their home and down the street, shooting to kill. Since then, Ghost has lived with a lot of anxiety and anger inside, but no place to put that energy. That all changes one day on the track. Ghost happens to come across tryouts for an elite middle school running team, and he decides to show off a little — not because he wants to join, just because he can’t stand the smug looks on some of these athletes’ faces. But lo and behold, soon the coach has convinced Ghost to join the team. Cue the happy ending? Not quite. This is Ghost’s first time as part of a group like this, plus Coach is pushing him to push himself to his own limits… and maybe even beyond — and Ghost is not used to it. Can Ghost find his place on the team, and maybe even find himself along the way? You’ll have to read the book to find out! I highly recommend this book to everyone, especially fans of Kwame Alexander’s books The Crossover and Booked. But you don’t have to be a sports fan to enjoy Ghost. And you definitely don’t need to have a similar background to Ghost’s in order to appreciate his story. In fact, I think it’s really important to read books about people and places that don’t mirror your own life — and that’s why I’m participating in the Reading Without Walls Challenge this month. One of the challenges is to read a book about a character who doesn’t look like you or live like you. I chose Ghost! But even though Ghost has a completely different life than mine, it was easy to identify with him. The author does an amazing job of taking you into Ghost’s head. As I read the book, I felt like I was getting to know a very real person, not just a book character. Are you a runner like Ghost, or do you play another sport (like basketball in The Crossover or soccer in Booked)? Leave a comment and share your sport! Karen is most definitely not a runner. The last time she tried to go running, she made it one block before turning around and going home. Swimming? Yes. Dancing? Yes. Running? No.